Borders, the acceptance of something different, the modern technology that estranges people, poverty, school violence, the dream for something beautiful… More than any other time, the hot issues of the world around us feed the subject matter of the films. Of that world that is in turmoil, in transition, in a manner that is extremely painful most of the times. Camera Zizanio has been and still is the meeting point of the issues of young people with creativity. Not as a simple, random crossroad but as the point where the carbon rods of the old movie projector meet. Each one carrying opposite electrical charges, they barely just touch and as if they explode, they create the voltaic arc. A brilliant light, necessary for the projection onto the large screen. This is the light that we have to keep on, under any circumstances. 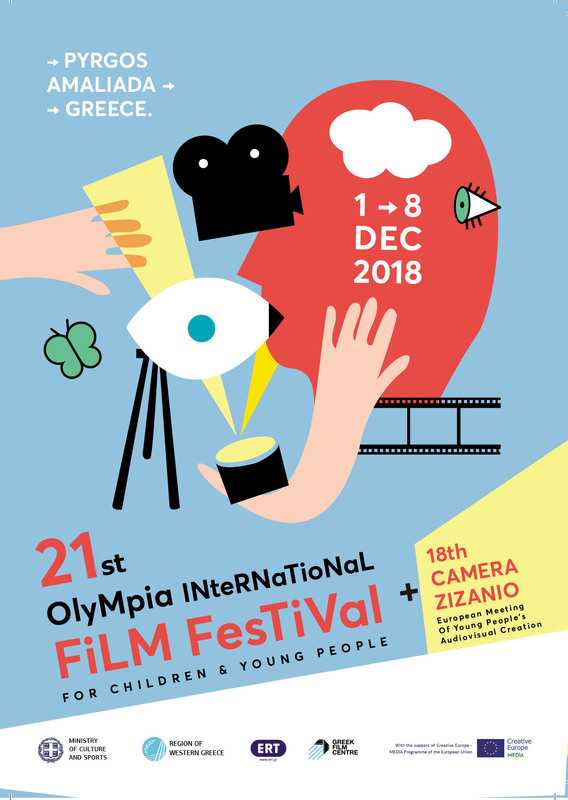 In the competition section of the 18th Olympia Festival (Feature Film, Short Fiction Film, Short Animation Film and Kids & Docs categories) 68 films will be presented (20 feature films and 48 short films), all recent productions (2015-2014), from 45 countries around the world: Afghanistan, Argentina, Armenia, Australia, Belgium, Brazil, Canada, Chile, China, Denmark, Finland, France, Georgia, Germany, Greece, Hungary, Italy, India, Iran, Iraq, Japan, Kenya, Lebanon, Lesotho, Moldova, Myanmar, Norway, Peru, Poland, Portugal, Romania, Russia, Serbia, Slovakia, South Africa, Spain, Sweden, Switzerland, Turkey, the Czech Republic, the Netherlands, the Philippines, Ukraine, United Kingdom, USA. 65 feature films and 50 short films will be screened in four different tributes (“Film Innovation and Education”, “Italian Cinema: From Open City to Kaos”, “Zoom in European Children’s Film” and “Current trends in European Animation”). The award-winning films of the Festival and selected films from the 15th Camera Zizanio will be screened in Alkyonis Cinema in Athens (10 – 16/12/2015).